Wow. There are so many things wrong in this situation. Talk about deflating! This kind of thing is what many of us autistics experience in daily life. We need to figure out how to educate staff in grocery stores and retail in general, on proper etiquette when interacting with disabled customers who happen to bring friends/support people. I would love to read suggestions from other self advocates, on how we can educate customer service employees to interact appropriately with autistic people and others with disabilities that might cause them to “appear” less intelligent, for lack of a better expression. Especially those like E who went with a friend, and had the employee talk to her friend rather than directly to her. My wording is poor, but this has to go out. We have been sitting on this post for a very long time now. While I know this is really minor compared to some things people go through on a regular basis, and my visible disability is temporary, I just wanted to share a story that happened to me yesterday. Not for reactions, just to point out that things like this happen. All the time. We do not know of such a letter, just the one we found and reblogged, written by a young man with Down Syndrome. Talk is good, as it induces thinking. Now it is time for action. When we have more time and energy, possibly over either Thanksgiving or (more likely) Winter Break, we will attempt to create a list of bookstores which sell her books, with contact information so that people can call and voice their concerns. We would love some help with that if anyone is up to the task; then it can get done much faster and we can get on with making calls or writing/emailing those bookstores! Seriously, we need to do this. Hitting Ann Coulter where it hurts the most, in her wallet, is the best way to send her and everyone else a message loud and clear: that hurtful and offensive comments do not and will not go unnoticed and unchallenged any longer. Solidarity, fellow advocates and allies! I found this while perusing through posts in various tags we follow. 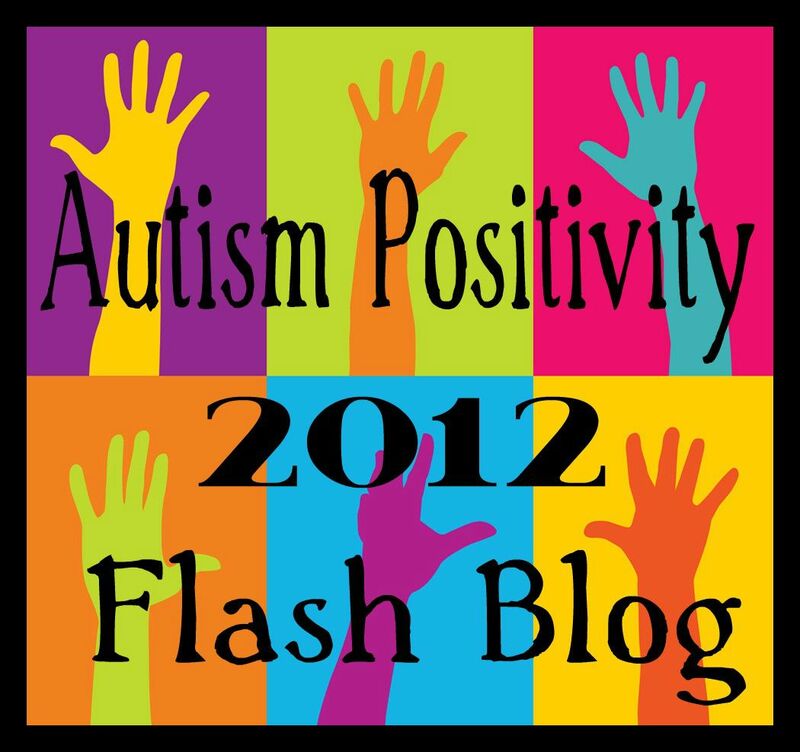 This is a brilliant idea, and I think autistic advocates should have a theme for next year too! A theme for blogging buttons, not just for topics. How about tackling one theme topic each week too? We can recycle topics also. And then at the end we could have a “blogthology” like Loud Hands has their anthology of stuff written by autistic people. Which unfortunately we didn’t know about until it was too late to submit something. That’s okay, I am sure there will be more opportunities to submit our stuff. We are looking for feedback on this idea. More on the issue of using words to hurt people, this time from a slightly different cultural perspective. It says pretty much the same thing. Definitely a good read and well worth sharing! Thanks to my headmate-sister for finding this. However, autistics are not all unable to lie. They can fall victim to corruption too. Maybe not to the extent of elected officials (but could that also be partly because few if any elected officials are known to be autistic?) yes we are capable of BEING corrupted! It happens all the damn time! But not in the conventional sense. Whenever we are told we can’t do this or that because of our disabilities, we are being corrupted, if we end up BELIEVING those lies. That will be the subject of another post, eventually. Sorry to Athena for hijacking her reblog. She asked me to finish it for her. In 2009, at the height of the campaign for the Philippine Presidential Elections, the word that critics used to disparage then-senator-turned-presidential aspirant Benigno Aquino III was “autistic.” You see, Filipinos don’t like using the R word as much as the A word. Call it a cultural difference, but here in the Pearl of the Orient Sea, we like to insult people with the A word. If being autistic means not being able to lie, then by all means, I should be proud to say I am autistic. If being autistic means not being able to cheat and rig elections, then call me autistic. When we reblog something, we often will publish it and then immediately change it to a draft, because we cannot write our own thoughts about it all at once. It takes time. But we want to at least get the post into our drafts so we don’t have to search for it again. Our blog is directly linked to our twitter account, which means that every time we publish a post, twitter posts a link to our followers. When we change the post from published to draft, that link is no longer valid until we republish the finished product. So if you are following me on twitter, and you click on an automated tweet with a link to our blog, if you get an error message, the above explains why. This is really cool! It made me very happy when I read it. I wish more people would think like Jessie.